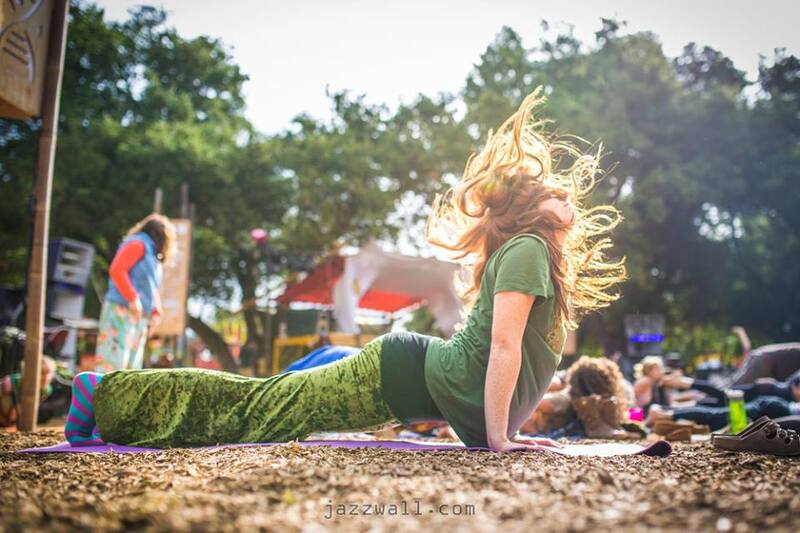 This year at the Crossroads, Lucidity is offering abundant opportunities to learn from some of the best teachers within our community who specialize in many different practices, and one person everyone should be itching to learn from is Samantha Sweetwater. 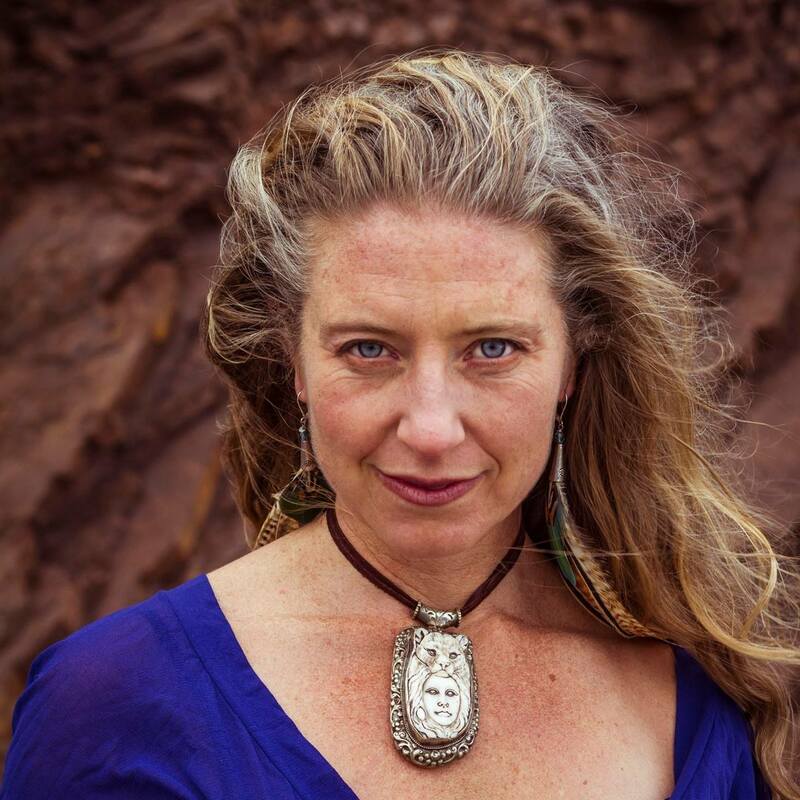 A tremendous heroine and dynamic leader, Sweetwater is the founder of Dancing Freedom; is co-founder of Australian International Contact Improvisation Convergence; co-founded C.E.L.L. Space in San Francisco; a founder at PeaceBody School Japan and a charismatic speaker. All along her efforts have been steeped in her love of the arts and her passion for community. 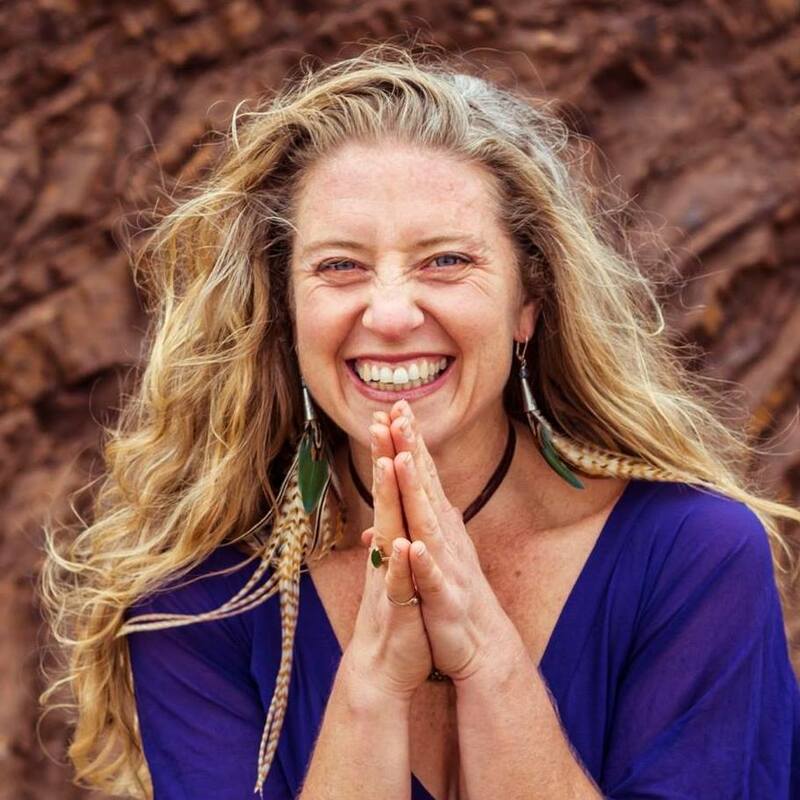 Equipped with a Masters in Wisdom Spirituality with a focus on Eco-Shamanic Trauma Mentoring, Samantha brings with her an array of skills in healing, listening, dance, and leadership to the Lucid University Courseweek. 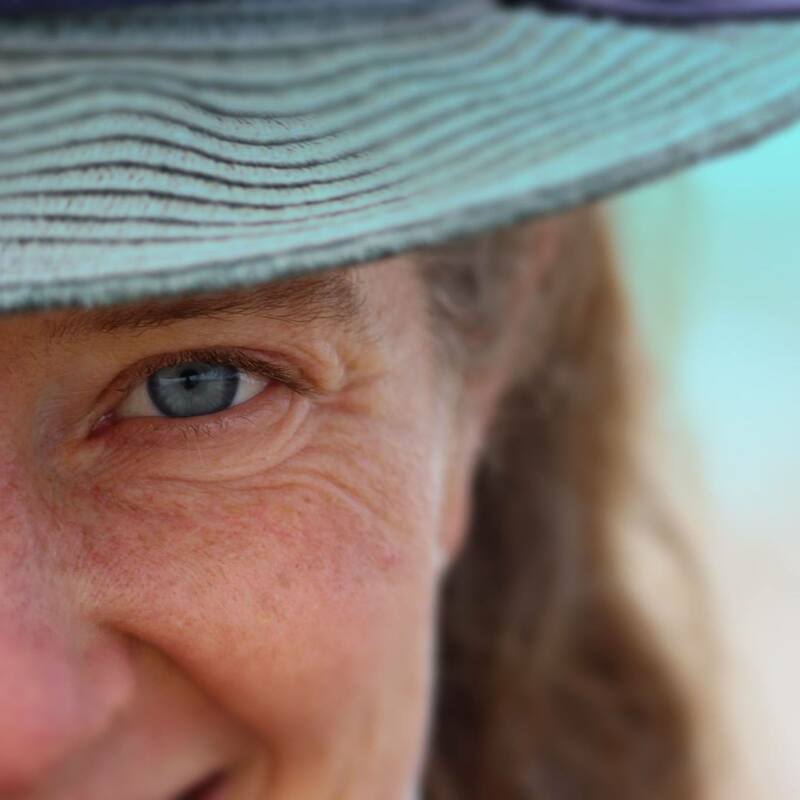 To learn about her Embodiment and Leadership course, we caught up with Sweetwater and she was kind enough to tell us a bit about what we can expect in her lessons. She even shared some of her own path in addition to a few charms of wisdom that she’s picked up along the way. Since High School, I’ve been one of those people who looked at people’s needs and dreams and the potentials of community and asked, how could we make this happen? How could everyone feel included? What would it take to synergize this potential? Could we reach higher or allow more grace? So, for 30 years, I’ve sought through both my Dancing Freedom work and through all kinds of more invisible initiatives and collaborations to empower and heal, inspire and activate both individuals and communities. I’ve experienced both big successes and big failures and continue to learn from both. I see an innate wholeness in that is seeking to be born, both in individual human beings and in Human Civilization as a whole. It seeks to be made manifest as our consciousness and in the actual fabric of our daily lives – of the ways we engage food, fuel, economy, education, relationship, etc. I’ve always seen it, since I was a little kid – a way of living in harmony with the Earth and All Beings that just makes sense. I’ve never felt like it made any sense to do anything other than to support the awakening of this realization in other people. My work has also been deeply informed by loss and failure – significant injuries that drastically shifted the trajectory of my first career as a professional dancer, miscarriage, and the times that I have been witness to communities shattering when charismatic leadership has failed. This has really helped me with humility. Ultimately, the place we are going is not a destination. It’s an emergence. So, knowing that we don’t know everything is really important in terms of how we navigate co-creation and change. What teachings can your students expect to learn about in your course? At the core, we’ll be doing Dancing Freedom every day, giving people a strong dose of movement medicine, and tools they can apply to their own dances and when sharing movement practices with others in their own communities. Day One focuses on Putting Life In the Center, or reframing how we understand value, identity and freedom by placing ourselves as equal members within the larger circle of life. If we really take our interdependence seriously, and explore how to live in alignment with and in service to our place in the larger Hoop, then we start to experience self, success, co-creation and creativity differently. We will also dive deep into how to work with Instinct, Emotion, Empathy and Intuition as core Fields of Consciousness that tune us coherently to self, other, world and spirit. Day Two focuses on Soul Purpose – how to align your life compass with Soul, Spirit and Original Instructions. Working with Dancing Freedom as a shamanic space, people will access and refine their experience of the True North of their life-walk. We will learn how to resource the lessons of failure as initiatory gateways towards more mature, wise and compassionate leadership. And we will have an opportunity to embody and declare our soul’s truth as a gift back to the Tribe. Day Three focuses on Love In Action: Leading Towards The Ancient Future. Participants will co-create a Dancing Freedom Practice as a learning space to understand and put into practice universal patterns for personal and collective ceremony. Then, we’ll support both the men and women in the group to more fully embrace their Feminine as a foundation for compassionate, life-centric leadership. We will meta-map Evolutionary Dynamics and Regenerative Patterns that apply to any and all Evolutionary Leadership. Then, people will get support in defining next steps and setting up a BIHAG for themselves (a Big Hairy Audacious Goal) towards radical possibility in their lives and leadership. Our time ends with Re-Birth into the Ancient Future ceremony. How can men be active in feminine leadership and why should they be interested in it? Feminine Leadership is a stance of being that implies inner integration of the Masculine and Feminine Dimensions of consciousness. It is neither a male or a female thing, but a balanced human thing. It begins with a capacity to listen to one’s self, others and the more-than-human world. It invites an embodiment of the principles of observation, imagination and empathy, and the ability to navigate from intuition and emotional intelligence in conjunction with the rational mind. It cares for pleasure, kindness and connection over efficiency and linearity. Many men are already active in these quadrants. I find that it’s really helpful and healing for both genders to acknowledge these traits and support their development both in individuals and in organizations. We need leadership that nurtures rather than dominates, that listens before it acts, that feels things in terms of relationships and not just vertical chains of impacts and influence, that acknowledges the subtle, the unseen and nature, just as surely as balance sheets and deliverables. For men, the invitation to embody these qualities is often profoundly relieving and a huge stamp of permission on who they want to be and how they really want to show up. These qualities also are essential to the success of any collaborative endeavor, whether you happen to be male or female. And, on a meta-cultural level, seeing these patterns as aspects of consciousness rather than hard definitions of gender, creates a space for the evolution of a culture of harmony and peace where we don’t need to separate the Divine Feminine from the Divine Masculine, but know both as parts of all people and consciousness. You are a leader in many communities; what advice can you give someone who is looking to take on a leadership role in their community? Do it. It will change you, grow you, soften you and show you what it really is to love and be free. Listen to your community, see what is needed, what is missing, what is wanting to be born? What is present on the margins that may not yet be served or honored? Balance the passion of your gift with the breadth of your listening. Offer up your passions, yet be willing and ready to be changed. Community thrives when we humbly and boldly navigate the paradox of giving our gifts while being willing to be shaped by the needs and calling of the world around us. Also – responsibility is real. To be a leader means to be willing to show up and stand in the fire of commitment and responsibility. It means being willing to be seen and being willing to be unseen. It’s a kind of freedom in engagement, freedom in participation, freedom in belonging, freedom in relation. To be a leader is to find freedom through the ability to respond. You get to give your energy, attention, time and brilliance to love-to-life the vision within your heart and the heart of the collective. This comes through compassionate listening, relationship building, igniting inspiration, and through your own devoted and constant action. How can dance liberate a community and heal those with existing traumas? 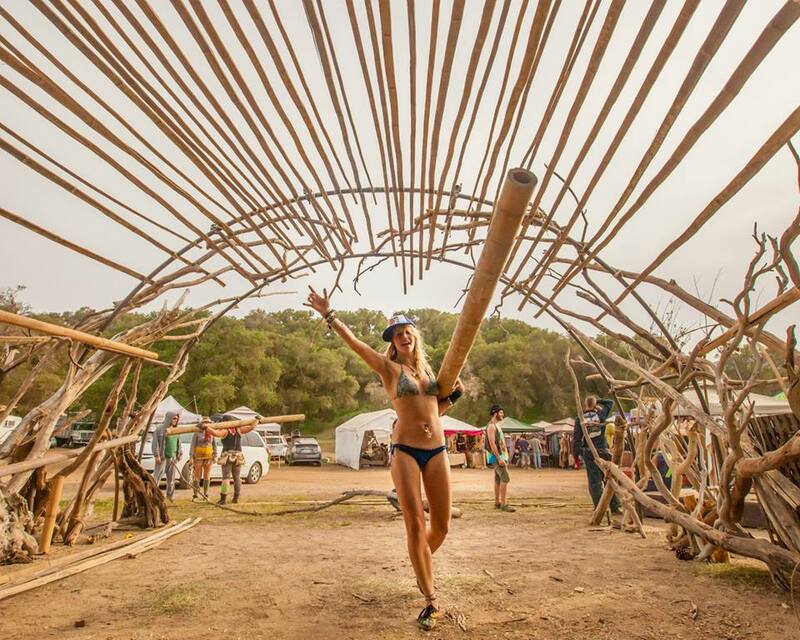 Dance is a practice of belonging. Everyone is equal in the dance. When dance lovingly held as a safe community container to express, move with and through emotion and energy, and be seen in all dimensions of our humanness, it alchemically heals the wounds we secretly hold onto. When we dance, we can not lie. When we put dance at the center of community, we create a practice space where we learn together how to be more authentic, wild, aware, fully expressed, lovingly connected, spiritually awake, and perfectly-imperfect humans. What are you hoping your students will walk away with when the course week is over? I hope people walk away with a deeper root in Soul Purpose, a more elegant and inspiring capacity to inspire participation, a refined vision of Evolutionary Leadership and Freedom, a renewed sense of connection with the More-Than-Human World and Nature as co-creators, a more embracing and harmonious understanding of Leadership that honors the Feminine, new tools and technologies for collaboration and co-creation within their communities, new connections and maps for engaged action, and a deeper embodied authority in offering their gifts to the Tribe. “You have to do it by yourself. You can not do it alone.” ~Thich Nhat Hanh. I’ve been in deep gratitude lately, for the prevalence and availability of wisdom teaching and teachers who support us on the path of Personal Liberation – of self generating return to the truth that we are indeed love and light, divine and human, and that each of us has both the opportunity and the responsibility to awaken the God Self within. At the same time, it’s important to remember that we are SOCIAL ANIMALS, designed by Nature to awaken through relationship, to know ourselves through Other, and to awaken through the sacred friction of our connections to other human and more-than-human beings. This is the Feminine, very HUMAN, and self-softening dimension of spirituality that I believe to be equally key to the whole human process of evolving and awakening. Our lives and consciousness are paradoxically and perfectly co-generative with everything around us. No human is an island. Nothing exists in isolation. This awakening is key to a vital and vibrant future. Our resiliency and ultimate sustainability, after all, are dependent on the sea of relations that feed and breathe us to life. And, the sentient field of ALL things and each thing is no less sentient and wise that the singularity of a human soul. Increasingly, my own spirituality is less and less homocentric/anthropocentric and more and more rooted in my relationality with all things, my equality within the hoop of life, and my relaxation of a need to assert personal liberation. Everything is conscious. Everything is relatedness. Nothing is not relatedness, even my singular experience of love or consciousness. And, I notice that my organism – my human self – delights and ignites in the connection, the co-creation, and the shared motion towards the WE that is the fabric and sacred expression of the One. Learn more about the Embodiment & Leadership course, Lucid University’s Courseweek, and check out our “Full Lucidity Experience Bundle” to save $106 when you purchase your seat in the course, festival ticket, and Mindful Feeding meal plan all in one handy bundle!